SubD-NURBS (patent pending) is the first released product produced by IntegrityWare's Gem Development Initiative. SubDNURBS is an innovative breakthrough product that provides the ability to bridge the gap between Subdivision Surface (Sub-D) modeling and NURBS modeling. SubD-NURBS provides tools to convert Sub-D meshes into high quality NURBS surfaces. Check out our Gallery for examples of NURBS models created from Sub-D and quad dominant meshes. Or watch a video that illustrates some of the ways that SubD-NURBS technology can revolutionize your application. Sub-D based graphics programs wishing to convert and export as NURBS for CAD systems. CAD or Sub-D modeling systems wishing to present an integrated environment where Sub-D and NURBS modeling tools are integrated into a single environment. Please see our Workflows page for additional information on how SubDNURBS can fit into various work flows. You can see more detailed work flows in various industries on the following pages: Organic Modeling, Automotive, Architectural, Industrial Design, Artistic Design. 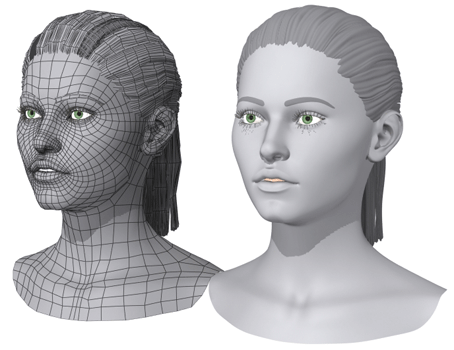 SubDNURBS has been tested utilizing Sub-D models produced by a variety of graphics systems. You can see many of those test models in our Gallery. We want to specifically thank Modo and Turbosquid for allowing us to utilize some of their models for testing and displaying on our web site. Click here to see applications using this technology!